Last week, Armis Labs identified a new attack vector, dubbed “BlueBorne”, that targets any device with Bluetooth capability. This includes mobile, desktop, and IoT — accounting for roughly 8.2 billion devices across Android, iOS, Windows, and Linux operating systems. The discovery exposes major vulnerabilities in Bluetooth technology. 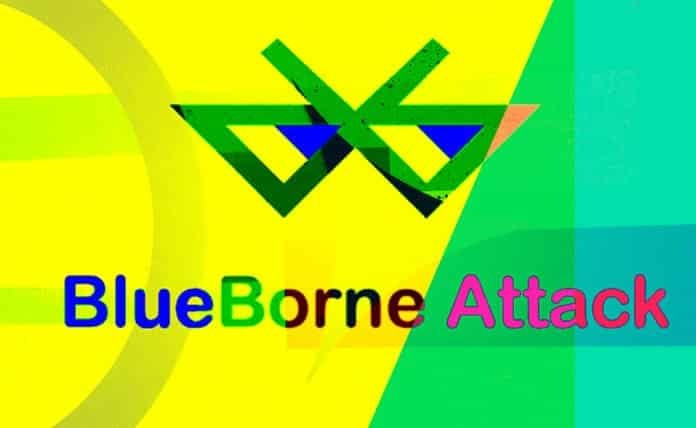 “BlueBorne is an attack vector by which hackers can leverage Bluetooth connections to penetrate and take complete control over targeted devices. BlueBorne affects ordinary computers, mobile phones, and the expanding realm of IoT devices. The attack does not require the targeted device to be paired to the attacker’s device, or even to be set on discoverable mode. Armis Labs has identified eight zero-day vulnerabilities so far, which indicate the existence and potential of the attack vector. The BlueBorne attack vector has several stages. First, the attacker locates active Bluetooth connections around him or her. Devices can be identified even if they are not set to “discoverable” mode. Next, the attacker obtains the device’s MAC address, which is a unique identifier of that specific device. By probing the device, the attacker can determine which operating system his victim is using, and adjust his exploit accordingly. The attacker will then exploit a vulnerability in the implementation of the Bluetooth protocol in the relevant platform. 2. Many Bluetooth devices are — and you are not going to believe this — not patchable. However, Parker said that up to 40 percent of the 5.3 billion impacted devices probably would not be patchable — mainly because they are IoT devices, like smart refrigerators, that cannot be easily updated. Right now, Armis said that users could disable Bluetooth to protect their connected devices while waiting for the patch. If there is any good news for Bluetooth developers, it is small, embeded devices do not appear — for now — to be a primary target for Blueborne, but rather higher-powered gateways running Linux, Android, Windows, or iOS which in turn connect to low power devices. The vulnerabilities disclosed by Armis affect all devices running on Android, Linux, Windows, and pre-version 10 of iOS operating systems, regardless of the Bluetooth version in use. This means almost every computer, mobile device, smart TV or other IoT device running on one of these operating systems is endangered by at least one of the eight vulnerabilities. I’ve written about IoT device discovery before and the principles still apply: low power IoT endpoints should operate in a “stealthy” mode unless there is a reason to make noise. It saves power, reduces network congestion, and makes discovering your IoT device much, much harder. I didn’t say “impossible to discover”, but like prey in the jungle wanting to avoid alerting a predator, part of minimizing your chances of being discovered is just to keep quiet. Older protocols, including Bluetooth, take an opposite tack: they never stop talking and are always discoverable. Even when you tell your Bluetooth radio to go into non-discovery mode. Bluetooth is not alone in this ease of discovery. WiFi and IEEE 802.15.4xx are just two examples of stacks (or semi-stacks) that weren’t conceived with the modern IoT in mind. Even more recent attempts like LoRaWAN were architected without thinking this through. In the world of IoT wireless protocol development, device discovery seems to (usually) be the job given to the guys who weren’t smart enough to work on documentation. But if we are just seeing the beginning of hacks like Blueborne — as the author of the vulnerability suggests — the solution to limiting IoT device discovery is a billion-dollar opportunity. 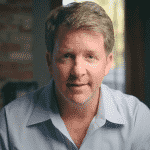 CEO/Co-Founder Haystack Technologies, Internet of Things tech pioneer, dad, coach, martial artist, sometimes mountaineer & jazz pianist. New hobby: K-12 education reform. Is IoT Security Finally Getting the Attention of Tech Giants?